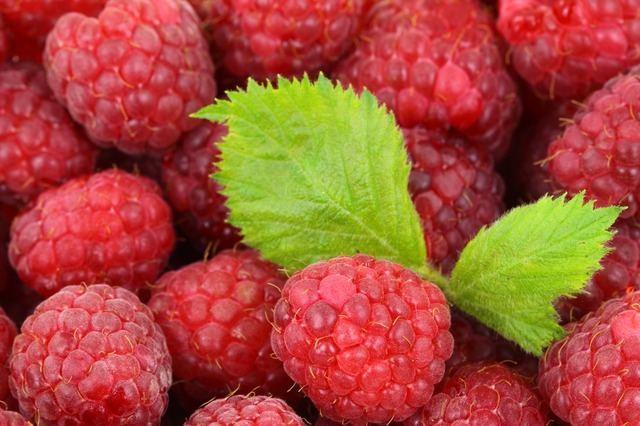 Ripe raspberries are deep in color, plump and slightly soft. Raspberries do not ripen after they have been picked. Avoid raspberries that have the hull still attached this is an indication that the raspberries are not ripe; when raspberries are ripe they detach easily from the hull. Avoid raspberries that are soft or moldy. After removing any damaged raspberries place the remaining berries in a container, cover with the lid or with plastic warp and then refrigerate. Raspberries are highly perishable and will only last for a couple of days before breaking down. Wash the raspberries and let them dry thoroughly or wait to wash them until you are ready to use them. Place the berries in a single layer on a baking sheet and place in the freezer. Once frozen, transfer the berries to a freezer container and store in the freezer. Raspberries can also be frozen in a sugar pack or a syrup pack. Raspberries will not ripen further after they have been picked so select ripe berries.